By using safety switch strips, your sliding, sectional or up-and-over doors can now be operated electrically or pneumatically. 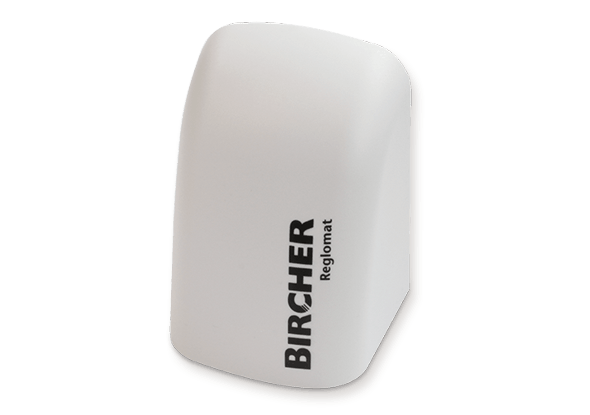 The Bircher Reglomat AirMission system ensures a wireless transmission between the pneumatic safety switch strips and control pad. Are you using electrical safety switch trips? Then the RF-Gate is a good solution. Read more about switching methods for your doors. The AirMission system transmits a wireless signal from the closing edges of the door to the control pad. The information about the status of the pressure-sensitive pneumatic safety switch strip is transmitted wirelessly, and therefore wear-free. The AirMission system is suitable for applications with Performance Level PLc, cat. 2 according to EN ISO 13849-1. An air pressure switch and an extra detector with integrated wicket door switch can be monitored and analysed, depending on the applications and user's desire. Per channel, a maximum of seven channels can be installed. No objects can be placed on the casing, due to the curved shape. This prevents tools from falling and other potentially dangerous situations.